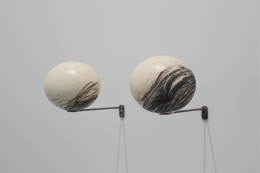 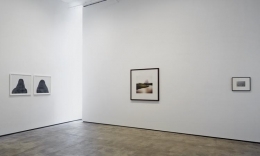 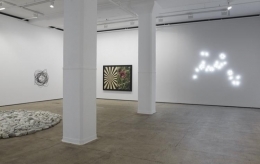 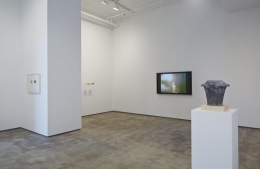 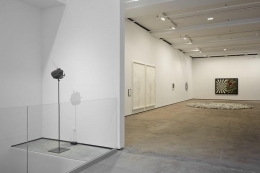 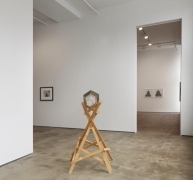 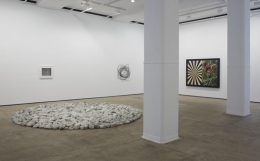 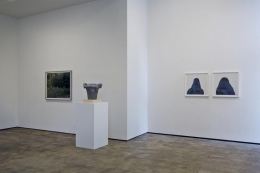 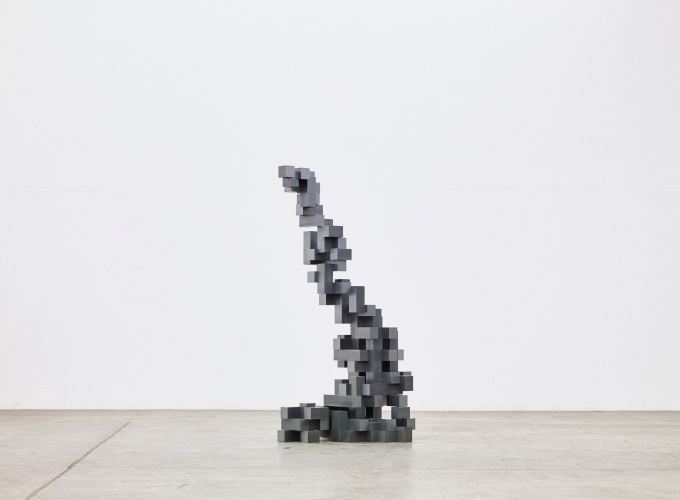 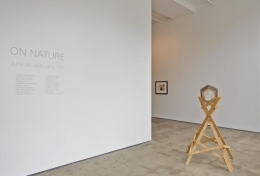 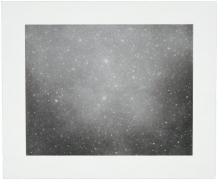 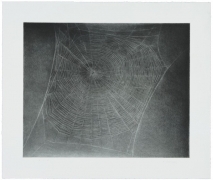 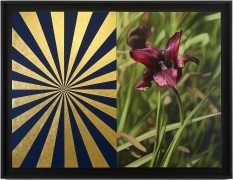 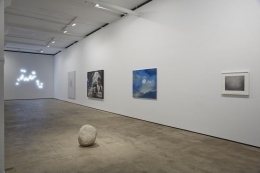 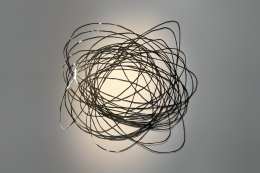 ￼June 27, 2013 – Sean Kelly presents a group exhibition, entitled On Nature, which brings together works with conceptually-based approaches to our perception of nature. 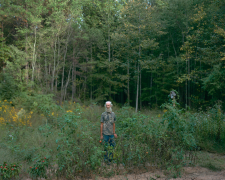 Whilst disparate in their presentation, practice and media, the artists in On Nature share an abiding interest in employing nature to articulate narratives and metaphors. 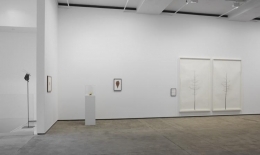 Throughout the exhibition, the presence of human beings within nature is present, in direct or veiled references. 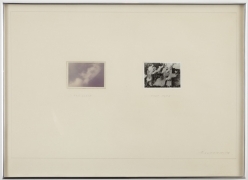 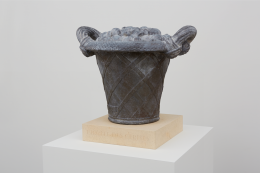 The exhibition includes new works in addition to seminal historic works, such as Joseph Beuys’s Capri Batterie (1985). 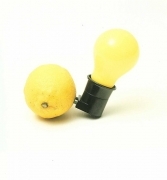 The sculpture, one of the artist’s last works before his death, comprises a yellow light bulb that appears to be powered by a fresh lemon, creating a wry commentary on our use of nature as a fuel source. 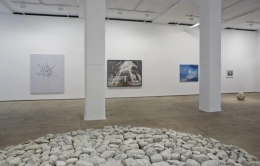 Man’s direct interaction with the immediate landscape is evident in Richard Long’s Leuk Stone Circle (2000), a large-scale floor sculpture of stones from the Rhone river in Switzerland, Marina Abramovic’s Places of Power, Waterfall (2013), a photograph of the artist, dressed in white with arms outstretched, standing at the base of a dramatic waterfall in Brazil, and Antony Gormley’s Man Rock (1982-1983), in which the silhouette of a figure has been incised as a continuous line into the surface of the stone. 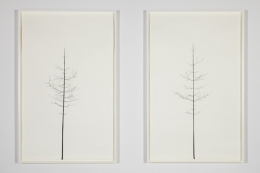 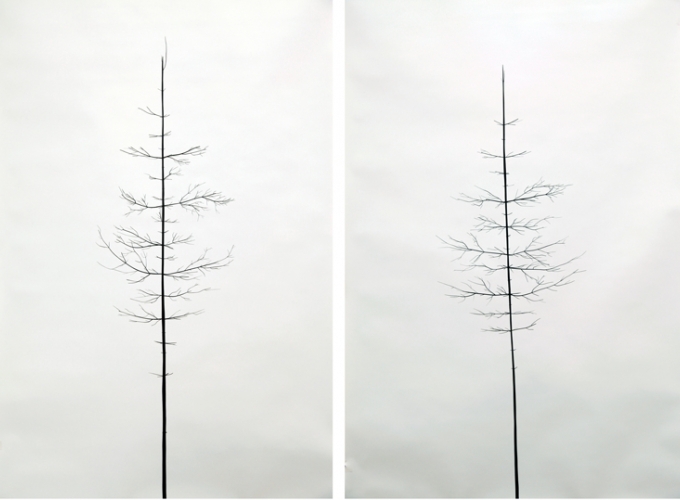 Imagining a different kind of human interaction with nature, Peter Liversidge’s Winter Drawings are delicate renderings of trees, made from cut black masking tape, which embody the quiet elegance of the least adorned season of the year. 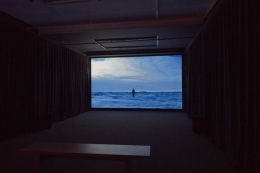 Further, the natural world as experienced through the passage of time is seen in two of the video works in the exhibition. 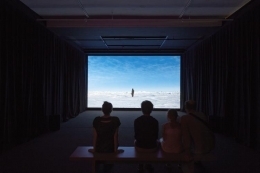 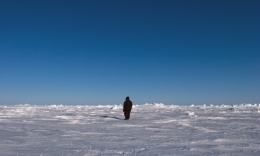 One, Guido van der Werve’s Nummer negen, the day I didn’t turn with the world (2007), is composed of time-lapse photography, taken over a 24-hour period, of the artist at the North Pole turning in counter-rotation to the earth. 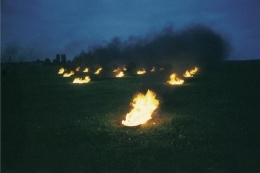 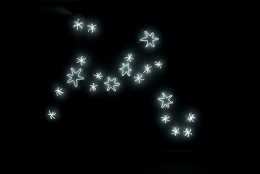 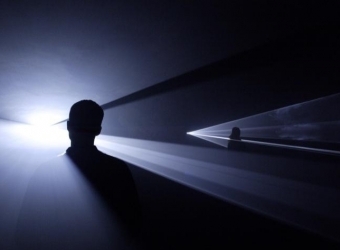 The other, Anthony McCall’s Landscape for Fire (1972), depicts an early performance in which the artist created a succinct, time-based choreography of a series of lit fires across a field in the English countryside. 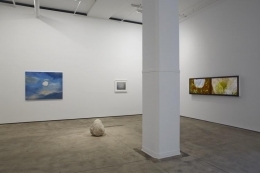 The artists in On Nature strive to capture the ephemeral, expansive qualities of the natural world and present it within the context of the constructed gallery environment indoors. 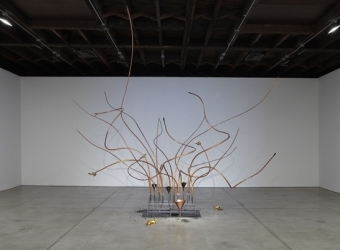 Through their interactions, interventions and depictions, the works included in this group exhibition grapple with understanding the natural world and our place within it.